The album is layered with as much grime as it is with pinpoint songwriting and feverish technical savvy. Each song wafts new dynamics into a streamlined stylistic roots, punk, and rock ‘n’ roll jet stream, the variations heard evidently through the vocal baton passing and wrenching harmonies of Parsons, Richardson, and Pierce. Each vocalist, as with each performer in the band, is given the spotlight during the course of the album’s 12 songs. And at its core, Banditos is a unified coalescence of six bright beams of light, a spiritual collaboration between friends with a singular musical vision. The album was recorded and mixed at The Bomb Shelter in Nashville with Andrija Tokic (Alabama Shakes, Hurray For the Riff Raff, Benjamin Booker). 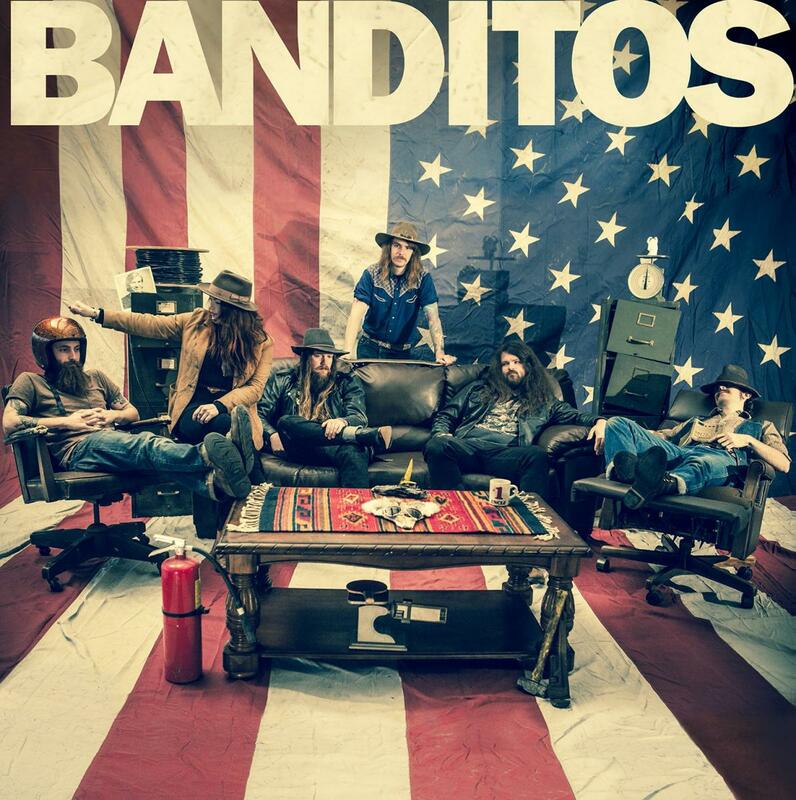 There’s no shortage of artists having a go at classic Americana, roots, and country music, but few do as impressive a job of revitalizing the tried-and-true as Banditos…they sound simultaneously familiar and fresh. Equal parts alt-country twang and garage rock bang, the album wears its influences proudly, recalling everything from ZZ Top's greasy boogie to the Alabama Shakes' coed soul. This dame could take paint off a wall with the power of her voice. That primal belt of hers is the only vocal I've found worthy of comparing to Janis Joplin in over 1000 album reviews. From its first notes, the band’s self-titled debut album barges in with a stack of classic southern rock and blues records in one hand and a beer in the other. Alabama's Banditos come out of the gate storming on their self-titled debut, a collection of dirty, rickety, overflowing-with-life rock tracks, hightailing through the open spaces of cowboy land like their band name implies…a winning debut jam-packed with raucous outlaw energy. Anybody who thinks Alabama Shakes have the soulful female crooner market cornered have not heard Mary Beth Richardson's warm, seductive pipes work their magic on a song. The perfect soundtrack to a rowdy hang...something that’s both uniquely now and uniquely American. A Doug Sahm/CCR vibe runs through much of this debut, as the band switch from the drawling, Southern groove of “Cry Baby Cry” and the Bakersfield country pound of “Still Sober After All These Beers” to the sweaty soul of “Old Ways” without missing a beat. Quintessentially old-school, Nashville-style country rock with beer cans full of attitude. Banditos roll through history on two wheels, accomplished enough to pay it due respect but always putting the boogie and the laughter and the chill good time first. Three vocalists, a wicked guitarist who also plays pedal steel, a banjo, an upright bass and a hot-footed drummer guarantee that every song they play is stuffed with crazy rhythms and melodic energy. Birmingham/Nashville group’s second full-length has one foot firmly planted in reality as the other tip-toes in and out of mental complexities, self-perception and altered-state illusions. The results are revealing, exhilarating and profound.